When it comes to taking care of the walls in your kitchen, one of the best things you can do is outline them with a visually-appealing backsplash, such as black slate backsplash tile. Combining these tiles with modern style white cabinets is an excellent way to add a contemporary look to your kitchen, and most importantly, the backsplash will prove to be advantageous for many more reasons. 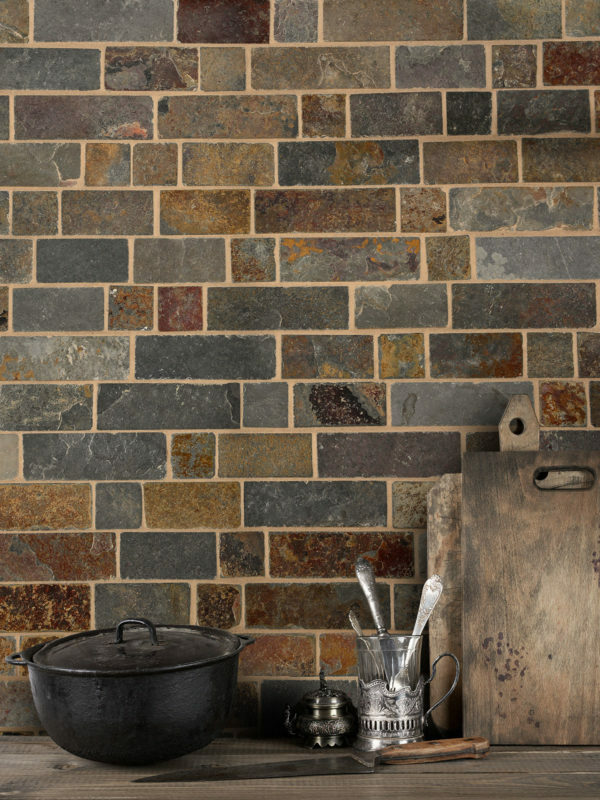 First of all, slate backsplash tiles have become renowned for being fireproof, which is of great importance in the kitchen where heat and high temperatures are often endured due to cooking. Secondly, since no two slate tiles are exactly the same, pairing them with white cabinets and a new Caledonia granite countertop will provide an effective way to add uniqueness to this room in your home that has more than ever before became the social focal point for many families. If you’re looking for a way to modernize the feel and look of your kitchen, you can’t go wrong with black slate backsplash tile, white cabinets, and a new Caledonia granite countertop. 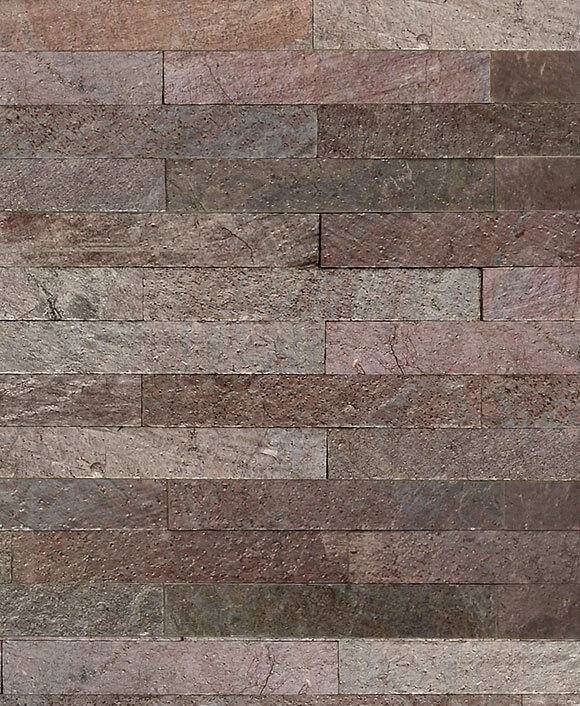 Slate black backsplash tile size 2″x5.5″ comes with the meshed back pattern and matte finished. 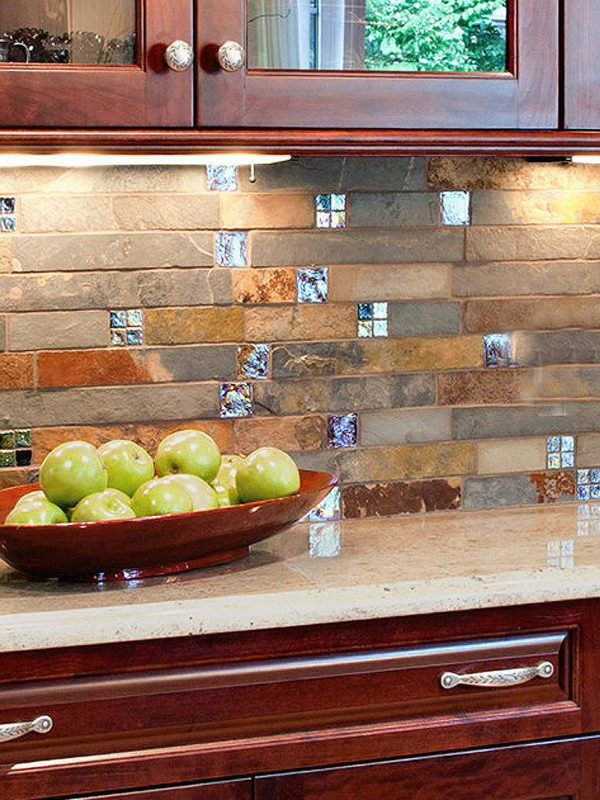 Also, browse our slate backsplash ideas for any kitchen designs. 2″ x 5.5″ size this black kitchen backsplash comes with subway backsplash style. Most tiles look very modern with subway tile design. This entry was posted in BLACK, BRICK, MOSAIC, SLATE, SUBWAY, TUMBLED HONED and tagged black slate.